Summer newsletter in the mail! Home / News / Summer newsletter in the mail! The 2017 NCCF summer newsletter is hot off the press and headed to a mailbox near you! 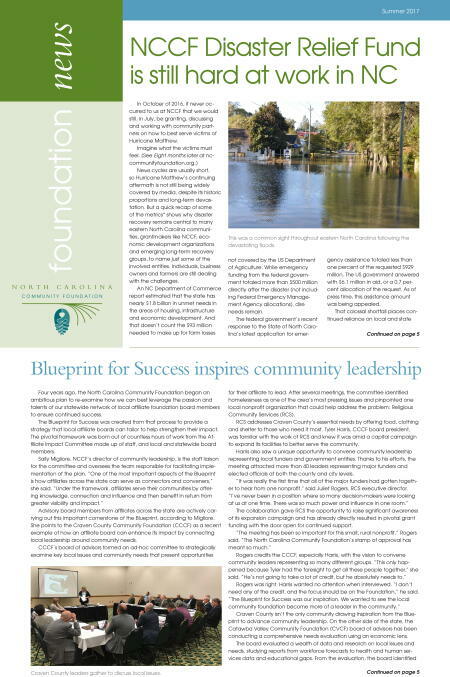 This edition features an update on the NCCF Disaster Relief Fund, the Blueprint for Success and the latest news from local affiliate foundations across the state. Click here to view a digital version of the newsletter and click here to explore our online expanded content from this edition.